FINALLY! A BOOK WHICH TEACHES SCREENWRITERS HOW TO GET LAID! Okay, so it’s not a ‘get-laid-quick’ book; but (despite the odd choice of cover photo) it’s still a damned fine book. More importantly than not being a ‘get-laid-quick’ book, it’s also not another ‘How to’ book which tells you all the endlessly recycled secrets of screenwriting you never needed to know but are expected to pay for when you can learn for free with a bit of effort and an internet connection. 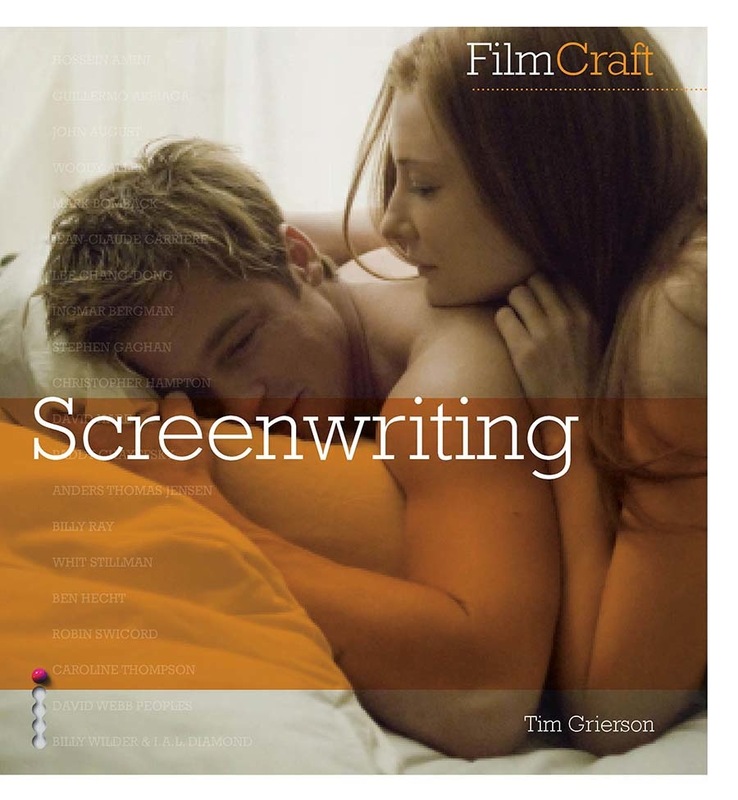 Tim Grierson’s FilmCraft: Screenwriting is actually a really cool collection of interviews and profiles with (and of) some of the greatest screenwriters ever to put finger to keyboard. It’s kind of a coffee table book, but jam packed with interesting interviews and behind-the-scenes bits and bobs. I got sent a copy yesterday by the (presumably) lovely Emily Owen of Ilex Press and I’ve got to say it’s an incredibly beautiful book. I’ve only had time to flick through it (and read the odd bit here and there) but it looks really interesting. From the Hollywood blockbuster to the American indie to the international arena, the writers in this book are the people responsible for some of our most indelible cinematic memories of the last 50 years – and most audience members don’t recognize their names, let alone know anything about them. Screenwriting aims to give these creators their much-deserved moment in the sun. A must for students, cinephiles and anyone interested in the craft of writing for the screen. 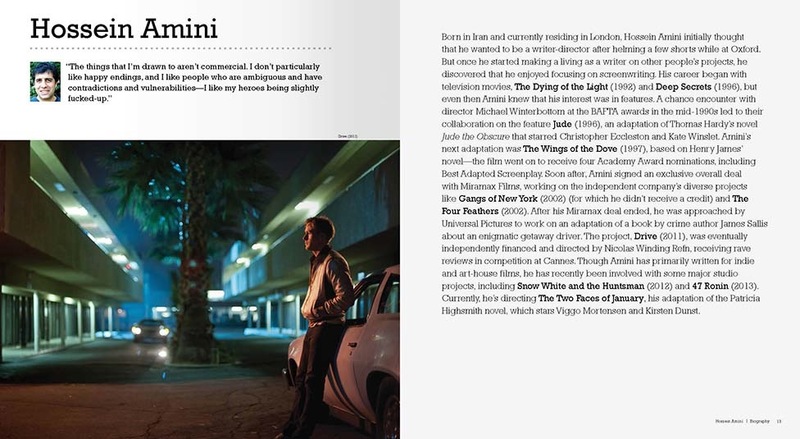 Featuring in-depth interviews with modern masters of film ranging from Billy Ray (Flightplan, The Hunger Games) to Stephen Gaghan (Traffic, Syriana) and Guillermo Arriaga (Amores Perros, Babel, 21 Grams). Includes fascinating behind-the-scenes material from the contributors themselves, including shooting scripts, writers’ notes and unseen visuals. Features supplementary legacy profiles of the greatest writers of cinema’s history – Woody Allen, Ingmar Bergman, Paddy Chayefsky, Ben Hecht and the famous duo of Billy Wilder and I.A.L. Diamond. Tim Grierson is a film and music critic whose writing has appeared in Screen International, L.A. Weekly, Backstage, The Village Voice, Revolver, Vulture, Wired and Blender, as well as on About.com, IFC.com, Yahoo Movies and Gawker.com. He is the co-author of FilmCraft: Cinematography – a profile of the world’s greatest cinematographers – and the author of the Mark Everett biography Blinking Lights and Other Revelations: The Story of Eels. Tim has served on the jury of the City of Lights, City of Angels (COL•COA) Film Festival, and is currently vice president of the Los Angeles Film Critics Association. If you listen to John August and Craig Mazin’s Scriptnotes Podcast (and if you don’t … really? Start now.) then you’ll have heard John describe this book as his ‘one cool thing’ for … um … well, one of the recent weeks. (I don’t always listen to the podcasts in order and tend to get confused a lot.) Anyway, John August thinks it’s cool and he wrote Big Fish, so he’s probably right. The best part of all this is the copy I have here is not for me, it’s for you. Although … I might fight you for it. It is lovely. No, fair’s fair – it’s a giveaway copy and give it away I must. So … I need a competition. Something fun, something easy enough to get people entering but not so easy it’s insulting. Hmm … I suppose I could just get you to leave comments and pick a winner at random … but that sounds a bit dull. Damn it, I hate thinking up competitions. Ooh! I know! That’s the competition! If you want this fantastic book, which normally retails at £19.99, then come up with a competition which has this book as a prize and post it in the comments. You don’t have to actually enter your own competition or even be capable of winning it. You can choose “write an Oscar-winning script using only the letter Q” or “build a matchstick model of my arse on the moon wearing oven gloves” or anything else you like. It doesn’t have to be feasible, achievable or even pleasant – just think up something which makes me laugh and I’ll pick the one I like best. Don’t be mean, tell all your friends to come and enter (because you’re so clever they can’t possibly compete with you) and give everyone the chance to win this lovely piece of work. As for a time-scale, for you … I give you a week. Let’s say the closing date is the 24th May 2013. The first Transformers movie is a master-class in hiding a plot none of the characters understand. Every time someone tries to figure out what the hell is going on, either a giant robot smashes through the wall or Megan Fox bends over – suddenly everyone’s all distracted and no one pauses to question what it is they’re actually trying to do! They went one step further in the second movie by simply removing the plot all together. But … nice! You’re winning so far! I insist you write this movie immediately. INSIST! I … wow. Just, wow. I might actually try this. Wait … do you have to write the book with another person or get screenwriters laid with another person? Or both? Well I thoughy this would be easy til I saw your example (the one about the matchstick model of your arse). You’ve set the bar really high there! The script would need to tell a story involving all the characters ever played by Arnold Schwarzennegger. The Terminator, Dutch, Julius Benedict, Jack Slater, Prince Hapi, Conan, … All of them down to Cactus Jack. Where, after an initial confrontation, they’d need to go on a shared quest for the ultimate good of Mankind. Or something…. And of course they’d have to be depicted as faithfully as possible, with appropriate one liners, ill-wisdom and all. I would so pay to watch that. To be honest I’d be happy with just Handsome Stranger vs The Terminator. Drink one shot of vodka every minute, until you can think of one Adam Sandler film that was actually funny. One hour and sixty shots later I reckon I’d be sleeping soundly like a baby. My competition is thus :- Count all the dandilions in my back garden. In the event of a tie, each competitor must then write a script containing that specific number of pages. So you want a horde of screenwriters working out where you live and trampling all over your azaleas? For male screenwriters: write a script containing solely female characters that never refers to their level of physical attractiveness. This should just be a mission statement for every writer for the next year. I think it would single-handedly solve sexism in movies. Write a book about screenwriting. 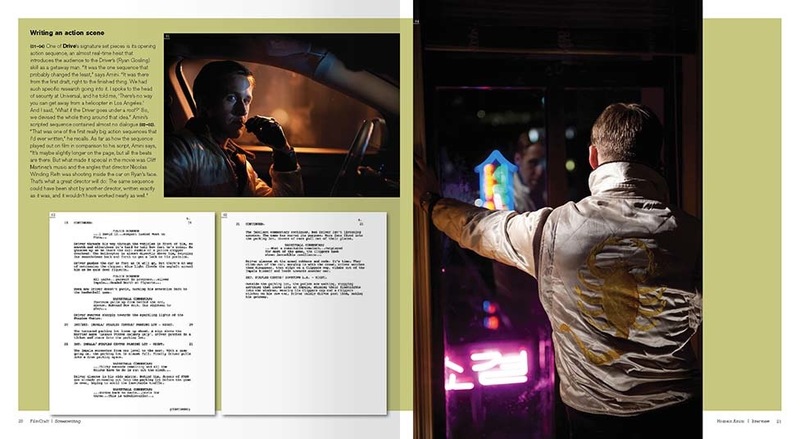 The writer of the best book wins a copy of FilmCraft: Screenwriting. So I should just give the book back to Tim Grierson? Write a logically sound yet entertaining sequel! to Mamma Mia in which Amanda Seyfried’s character realises Meryl Streep isn’t her biological Mother and instead is one of three potential Mums played by Lindsay Lohan, a cross dressing Pierce Brosnan and Queen Latifah. For budget reasons it must be set in the Shetland Islands and can only use ABBA B-Sides and solo material. Also, 90% of the songs should be duets between cross dressing Brosnan and his less cross dressing character from the first film. Right, competition’s over and I choose … a winner. Damn, I thought this would be easier; but I really like several of these. I’m going to choose … Sam Frederick Taylor’s competition because I think it probably took the most effort. Well done, sir. I’m going to email you now, provided you provided an actual email address then you just won an awesome book. I don’t believe I did supply an email, just hooked me up through facebook. Am I still in the running? Ignore the above. Scribblings of a mad man.